Agency RPM is working with New Balance on events building up to the Virgin Money London Marathon. Creative agency RPM’s latest client is New Balance, the official clothing and footwear partner of the Virgin Money London Marathon. 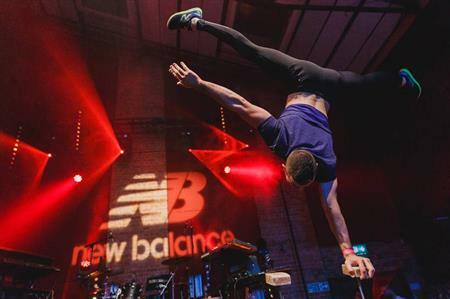 On 19 October, RPM co-produced the launch event at Village Underground, East London, to announce New Balance’s partnership and to launch the New Balance London Marathon Acceptance range of footwear and apparel. RPM will be working with the brand at London Marathon Expo, as well at other events organised by London Marathon Events Ltd in the run-up to the marathon itself in April, as part of New Balance’s sponsorship agreement. The agency will be managing the creative brief and production for the UK division of the brand, which is focused on creating enhanced marathon event experiences, improving runner performances and fostering a life-long love for running and fitness. Dom Robertson, managing director of RPM said: "We’re incredibly excited for this new partnership with New Balance. We have over six years’ experience working with Virgin Money at the London Marathon and are looking forward to using our knowledge and expertise to assist New Balance in their mission to broaden the appeal of running and get more people participating in the sport."